With the help of a $5,000 Acting Up award from The Chicago Community Trust, the Monroe Foundation partnered with faith-based and re-entry advocacy programs to help formerly incarcerated individuals clear their criminal records through the “Get Cleared, Chicago” campaign. When DSW Warehouse laid off Eric Pledger about two years ago, he had his eyes set on a job as a trucker with the Pepsi Company. The position was ideal, he said. Through on-the-job training, Eric could obtain a Commercial Driver’s License – a resume booster for anyone interested in driving forklifts in warehouses or driving semi trailers across the country. Eric applied for the Pepsi job, but his application was rejected. His status as a convicted felon wasn’t attractive to his potential employer, he said. So, Eric went back to the drawing board, searching for a job that wouldn’t punish him for a mistake he made in the past. “It hurt. I’m not gonna lie. I was real frustrated,” the 28-year-old said while sitting at a roundtable with other formerly incarcerated individuals, or returning citizens, at The Rock Enterprises And Development Corp., known as T.R.E.A.D., a South Side nonprofit that helps those with criminal records get back on their feet. The group nodded their heads in solidarity with Eric. They related to his stories of rejection every time a job application asked about their criminal past, or routine background checks revealed old convictions. 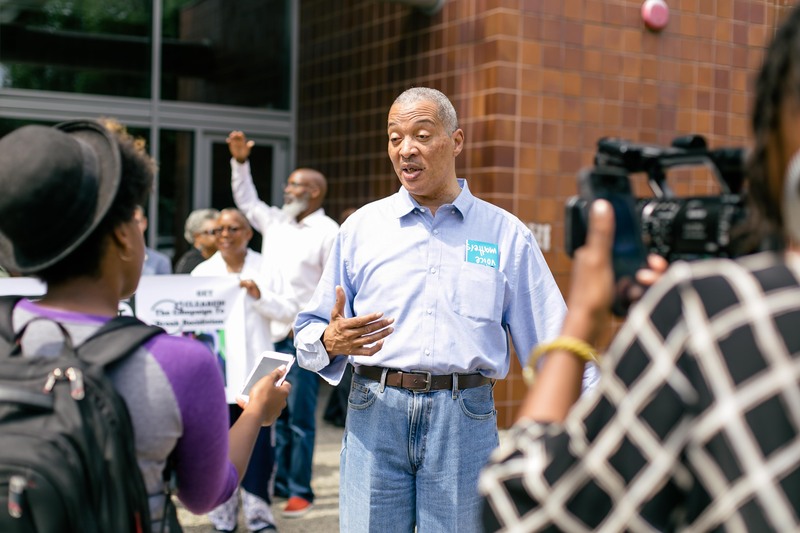 On August 28, Eric was among dozens of formerly incarcerated people participating in “Rap Sheet Day,” a project led by the Monroe Foundation as part of the “Get Cleared, Chicago” campaign to help the formerly incarcerated get their criminal records expunged or sealed, thereby ending high rates of recidivism in the city. From 1:00 to 3 p.m., about 70 people were transported to the Chicago Police Department’s headquarters on 35th Street and Michigan Avenue to ask for their rap sheets of past convictions. With a $5,000 Acting Up award from The Chicago Community Trust, the Monroe Foundation was able to pay the $16 fee for each formerly incarcerated person’s rap sheet. Though this was the first time the Monroe Foundation hosted “Rap Sheet Day,” the Reverend Otis Monroe, the foundation’s president, felt confident in the good it would do for the community. “There are seven communities in Chicago that have high rates of recidivism, and some of those communities are represented here today: North Lawndale, Roseland, Englewood,” Rev. Monroe said. 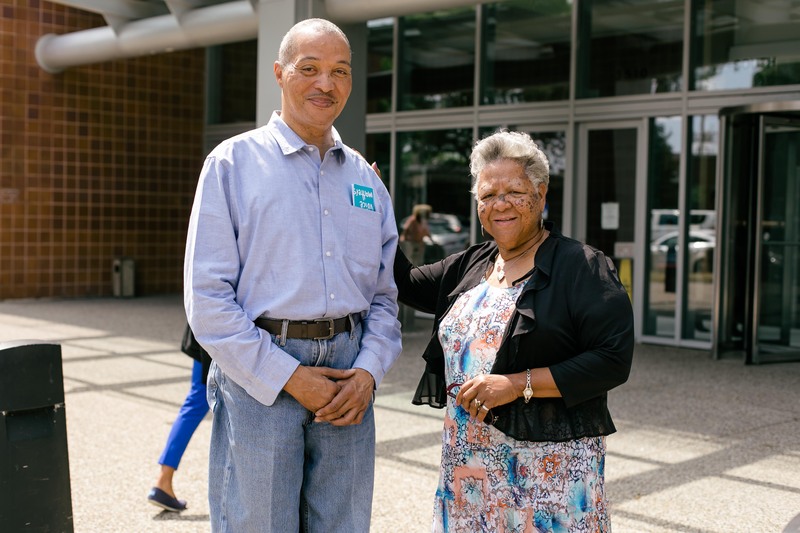 The Monroe Foundation partnered with faith-based and re-entry advocacy programs across Chicago to prepare formerly incarcerated people for “Rap Sheet Day.” Prior to the event, the returning citizens attended “Pre-Rap Sheet Day” at Teamwork Englewood, where they learned about new laws expanding opportunities for expungement. Also, they were connected with resources to help reduce barriers during the sealing process. “Rap Sheet Day” served as the second phase of the “Get Cleared, Chicago” campaign. Formerly incarcerated individuals were fingerprinted at the police station and would receive their rap sheets the following week. The next step, Rev. Monroe said, is to connect each returning citizen with lawyers who will assess their legal options on a pro bono basis. 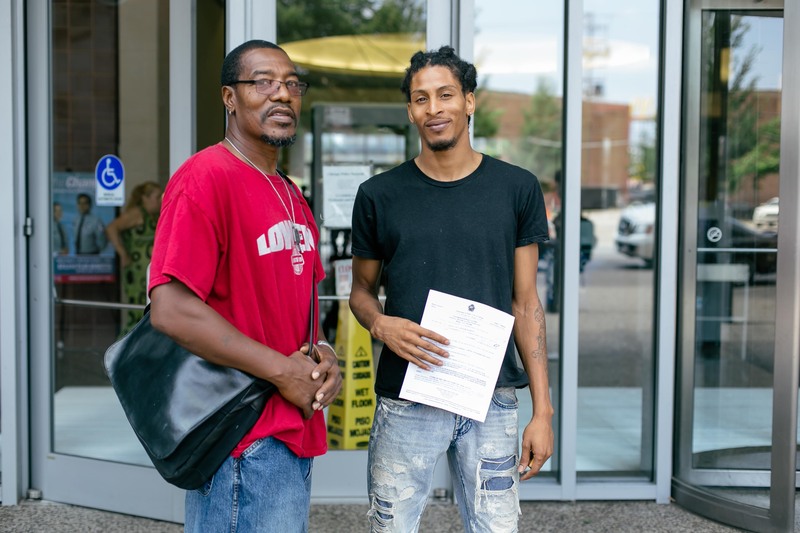 Eric Pledger [right] stands with John Tyler [left] after they were fingerprinted at the Chicago police station on “Rap Sheet Day,” part of the Monroe Foundation’s “Get Cleared, Chicago” campaign to help formerly incarcerated individuals get their records cleared. T.R.E.A.D. founder, the Reverend Elena Calloway, said the legal process has been the hardest part for the formerly incarcerated. Most times, they can’t afford the fees – especially if they’re unemployed or making minimum wage with a family to feed. Eric sat next to Rev. 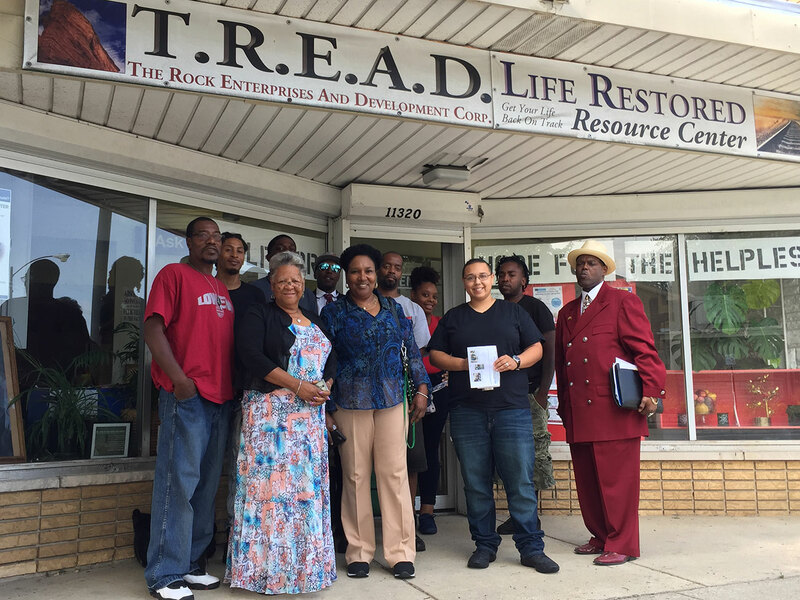 Calloway at T.R.E.A.D.’s Roseland office. He became emotional while discussing the $750 price tag an attorney once offered him to look over his case. Rev. Monroe compared his work with “Get Cleared, Chicago” to the Deferred Action for Childhood Arrivals (DACA), an immigration policy that protects children who were brought to the U.S. illegally from deportation. It’s one way to help repair and rebuild black families and neighborhoods in Chicago that are affected by the school-to-prison pipeline.